The seminar provides a space to explore issues and opportunities arising out of religious diversity and to identify strategies to both accommodate diversity and address discrimination in Ireland. Where: Morrison Hotel, Ormond Quay, Dublin 1. RSVP: Laura Curtin, EnarIreland@gmail.com Tel. 01 8897110 by Thursday 26th April please. 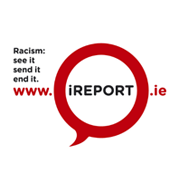 The Irish Network Against Racism (ENAR Ireland) is a national network of organisations working collectively to highlight and address racism. We are the Irish Coordination for the European Network Against Racism, an EU-wide network of over 700 NGOs.